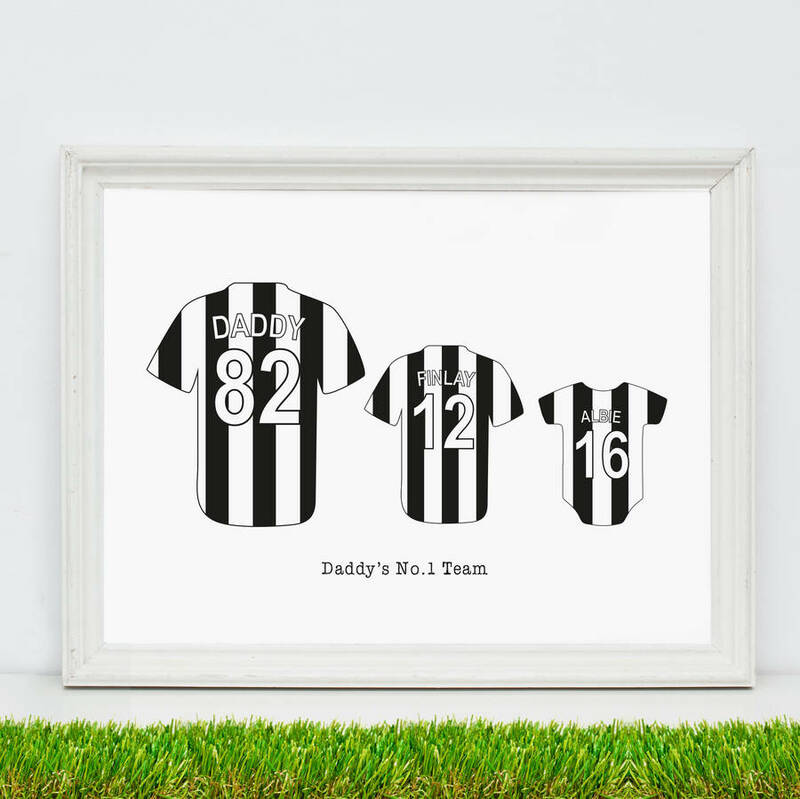 A perfect gift for football mad Dads with a passion for their team. Perfect to hang in the house or man den! 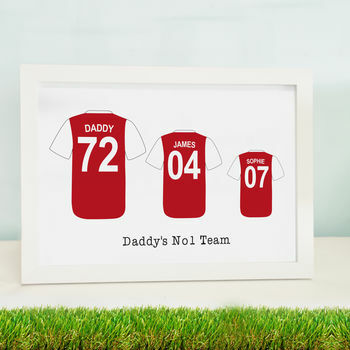 Show off your love of the same football team as your dad with this personalised print. 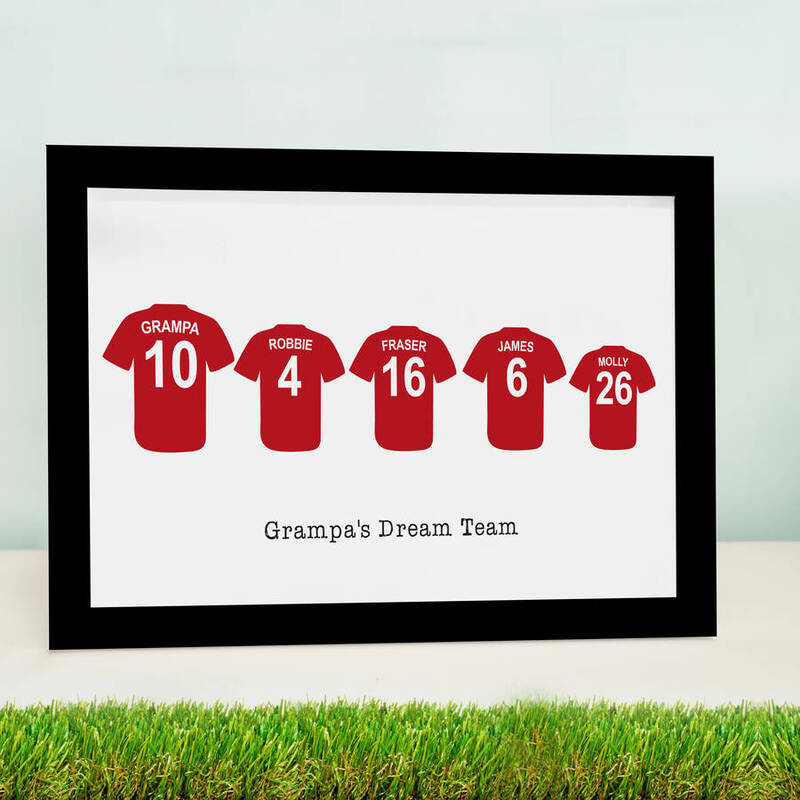 This print makes a great Father's day gift or perhaps a big birthday or Christmas present. You also have the option to add a white or black frame to this print great for sending directly as a gift. You can also add a message to your gift note during checkout. 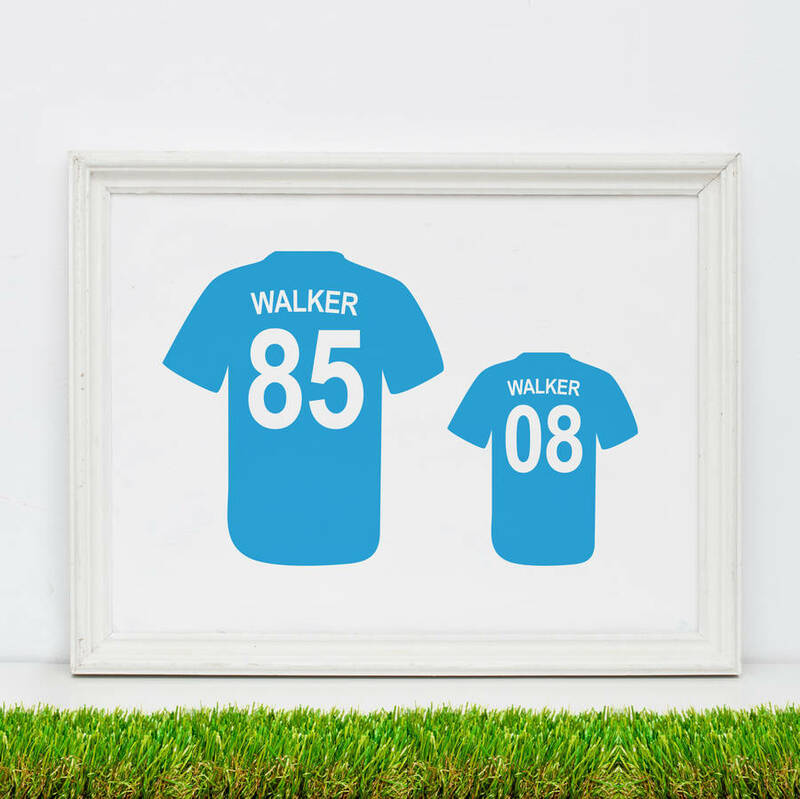 This print allows you to add as many shirts as you need in sizes large, medium, small and babygrow. 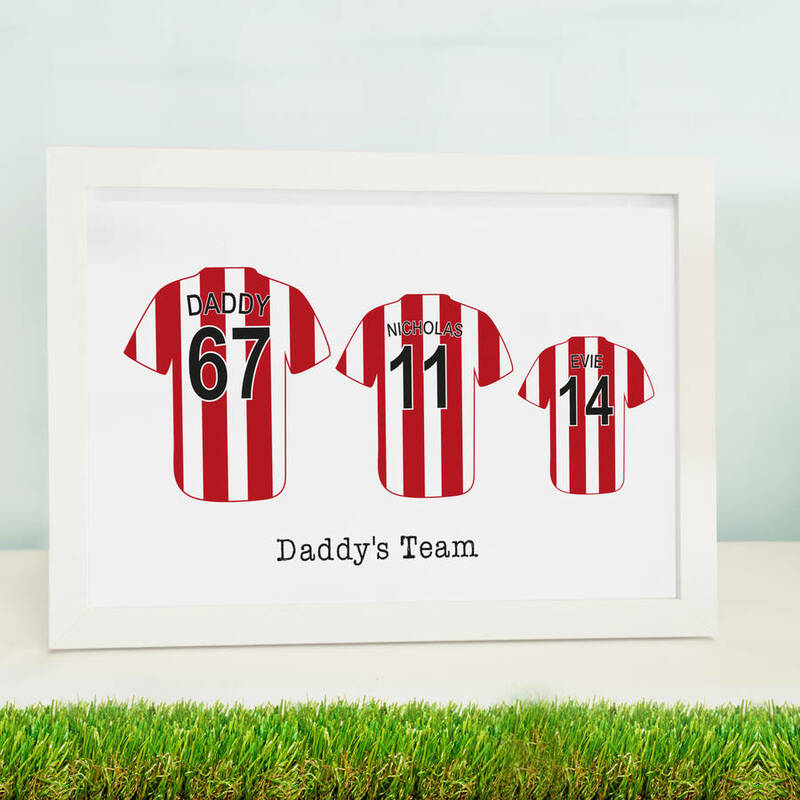 You can personalise the colour of the shirts with a choice of two colours per shirt to match your team. You also have the option to add a name (nicknames welcome!) 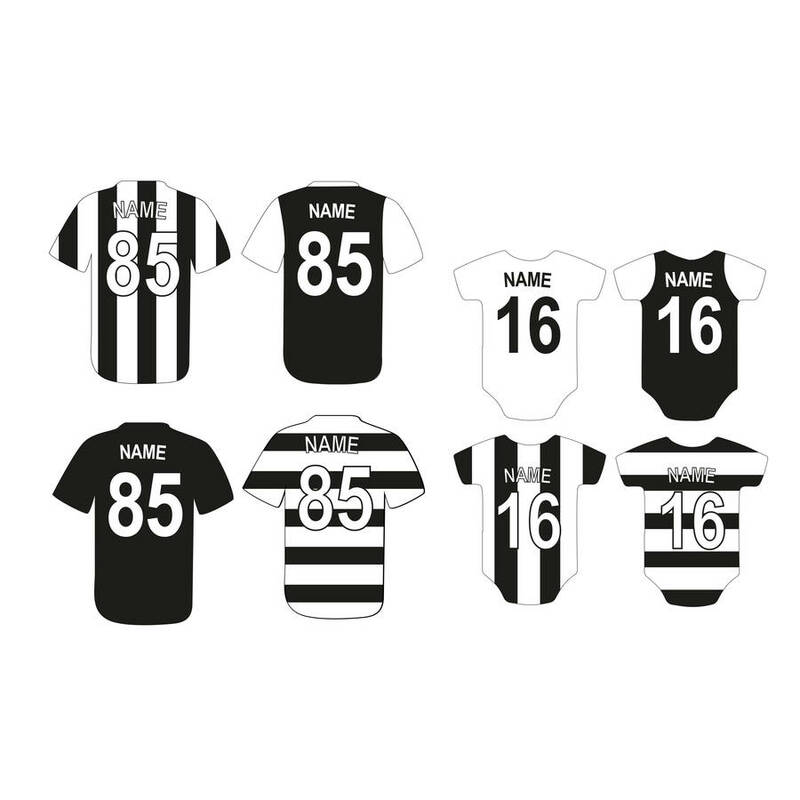 and numbers (2 max per shirt) to the back of the shirt, great to display a birth year, big birthday or a lucky number. Please note that Shirt 1 will appear on the left and so on. You can also add a personalised message underneath the shirts, perfect for sending as a gift. 220 gsm White card. Frame is an added extra. 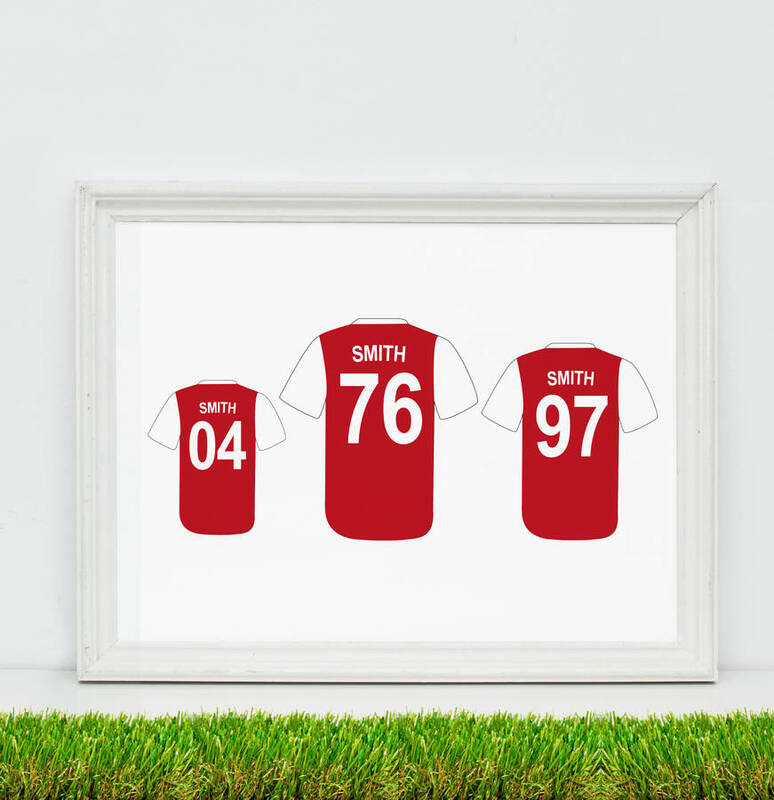 Please ensure to select the matching frame size to the size of print you have selected.